The IAAF World Indoor Championships has been this way before. As the 17th edition starts to zoom into focus, just two weeks away now, the mind inevitably flashes back to the ninth edition, held in the same atmospheric arena in Birmingham 15 years ago. Arena Birmingham was known as the National Indoor Arena back then, when the 2003 IAAF World Indoor Championships came to England’s second city. The locals came to see some of their own take on the world and they were not disappointed as two members of local club Birchfield Harriers made it on to the medal podium, Ashia Hansen claiming triple jump gold and Daniel Caines silvers in the 400m and 4x400m. Looking back from a broader perspective, however, those 2003 IAAF World Indoor Championships followed in the long-established tradition of indoor competition proving to be the springboard to greater things for athletes from all around the globe. China’s Liu Xiang was still a teenager when he arrived in Birmingham for an event that was billed as the big farewell to a hurdling legend. The 60m hurdles was to be the final competition of a career in which Colin Jackson had blazed a glorious trail as a world champion and world record-breaker indoors and out. The Briton was 37, Liu a tender 19. Liu’s given name, ‘Xiang’, means “spreading wings to fly” and the tall young man from Shanghai was already starting to live up to it. In 2002 he smashed Renaldo Nehemiah’s long-standing world junior record with a stunning 13.12 in Lausanne. The young Shanghai Express was gathering momentum and in Birmingham he gained his first senior global medal – at the expense of the retiring Jackson, among others. Allen Johnson, the 1995 champion from the US who was on a streak of three successive world outdoor titles, won in Birmingham in 7.47. The 1997 champion Anier Garcia from Cuba took silver in 7.49 and Liu bronze in 7.52, ahead of fourth-placed French teenager Ladji Doucore (7.58) and the fifth-placed Jackson (7.61). 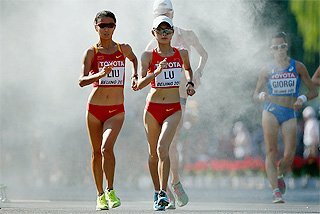 Five months later Liu was a bronze medallist at the outdoor World Championships in Paris, in another race won by Johnson. 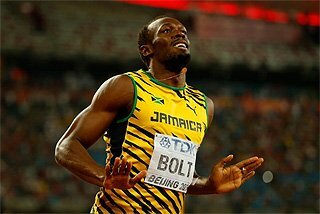 There followed three global titles: 110m hurdles gold at the 2004 Olympics in Athens and at the 2007 World Championships in Osaka and 60m hurdles gold at the 2008 World Indoor Championships in Valencia. Liu’s winning time at the Athens Olympics, 12.91, equalled Jackson’s world record. 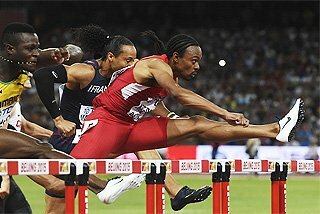 In Lausanne in 2006 he claimed the world record outright, a flawless hurdling display taking him to a 12.88 clocking. In his only other appearance at Arena Birmingham, he clocked an Asian record of 7.41 in the 60m hurdles at the Birmingham Indoor Grand Prix in 2012. The women’s 3000m in Birmingham was a momentous one for Ethiopia. Never before had the East African country managed to take a medal in an event they were to come to dominate. 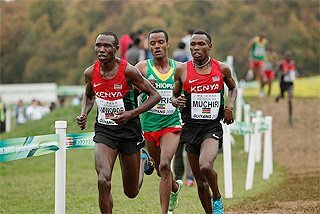 Of the eight finals contested from 2003 to date, seven have been won by Ethiopians. Berhane Adere led the way in Birmingham, pulling away from Spain’s Marta Dominguez to win in 8:40.25. 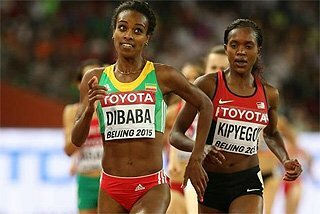 In third place in 8:42.58, making it gold and bronze for Ethiopia, was Meseret Defar, the 19-year-old who had completed a 3000m-5000m double at the IAAF World Junior Championships in Kingston the previous summer. The smooth-striding teenager was to become the most successful 3000m runner in the history of the World Indoor Championships. She won four successive golds, turning the tables on Adere in Budapest in 2004, then retaining her crown in Moscow in 2006, Valencia in 2008 and Doha in 2010. In Istanbul in 2012 she took silver behind Kenya’s Hellen Obiri and in Portland in 2016 she was runner-up behind defending champion and compatriot Genzebe Dibaba. 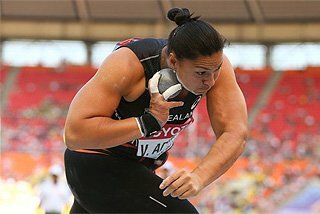 Her remarkable haul of seven medals has put Defar among the all-time greats of the IAAF World Indoor Championships. Only two women have won more gold medals in an individual event: Mozambique’s Maria Mutola in the 800m (seven) and Bulgaria’s Stefka Kostadinova in the high jump (five). The diminutive Defar went on from her senior breakthrough in Birmingham to make her mark in the world record book, clocking outdoor world records or world bests at 5000m and two miles and indoors at 3000m, two miles and 5000m. She has also won two Olympic 5000m titles eight years apart (in Athens in 2004 and London in 2012) and two 5000m golds at the outdoor IAAF World Championships (in Osaka in 2007 and Moscow in 2013). Carolina Kluft was five weeks past her 20th birthday when she lined up for her first senior global championship in Birmingham. The Swede was already a rising star in the combined-events firmament, having retained her heptathlon crown with a world U20 heptathlon record at the 2002 IAAF World Junior Championships in Kingston before breaking it again when winning the senior European title in Munich a fortnight later. As in Jamaica and Germany, the effervescent young woman from Vaxjo brought a refreshing joie de vivre to her competitive approach in Birmingham. She also breezed to pentathlon victory with a championship best of 4933, just 58 points shy of the world indoor record. It was a taste of great things to come. Outdoors, at the IAAF World Championships in Paris five months later, Kluft struck gold with 7001, moving to third place on the world all-time list. 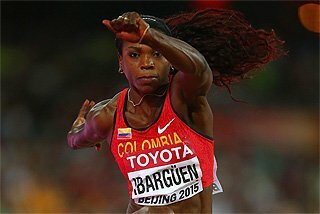 She won Olympic gold in Athens in 2004 and two more outdoor world titles, in Helsinki in 2005 and Osaka in 2007 with a European record of 7032, before deciding to retire from combined events at the age of 24 and concentrate on long jump for the last five years of her track and field career. Quite apart from the breath of fresh air that her infectiously positive character brought to track and field, Kluft – went through her entire senior heptathlon career without suffering defeat – could be remembered as one of the great invincibles of the sport along with the likes of Herb Elliott, the Australian who was unbeaten in 44 races at 1500m and the mile as a senior, and Bob Matthias, the US all-rounder who won all 11 decathlons that he contested. 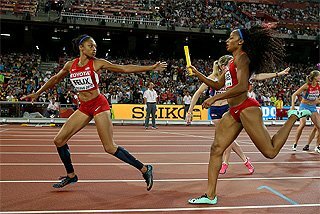 Allyson Felix was 17 and still a student at Los Angeles Baptist High School in North Hills, California, when she made the US team for the 2003 IAAF World Indoor Championships. The previous summer she had won the 100m at the IAAF World Youth Championships in Debrecen, and Birmingham was to be her baptism in senior international competition. She made it through the first round of the 200m, clocking 23.36 as runner-up in her heat. She improved to 23.29 for third place in her semi-final but failed to make the cut for the final. Still, the Birmingham experience proved to be a springboard to a trailblazing senior career for Felix. At the 2005 IAAF World Championships in Helsinki, she won the 200m in 22.16. Aged 19 years 267 days, she became the youngest winner of a senior world sprint title. It was the first of a record haul of medals at the IAAF World Championships, which now stands at 16, two more than Merlene Ottey and Usain Bolt. Four of those have been individual golds: from the 200m in Helsinki in 2005, Osaka in 2007 and Berlin in 2009 and from the 400m in Beijing in 2015. Felix also six Olympic golds, a record for a female track and field athlete. Benita Willis – or Benita Johnson, as she was known for most of her international running career – was already a veteran of one IAAF World Indoor Championships, and indeed one Olympic Games, when she arrived in Birmingham in 2003. The 23-year-old Australian had run in the 5000m heats at her home Olympics in Sydney in 2000, where Cathy Freeman famously blazed to 400m gold. Willis had finished sixth in the 3000m final on her IAAF World Indoor Championships debut in Lisbon in 2001, but her run in the 3000m final in Birmingham was to be a stepping stone to the major breakthrough she made over the following twelve months. Willis could not get close to Berhane Adere as the Ethiopian surged to a decisive victory in 8:40.25, the Australian having to settle for seventh place in 8:51.62. 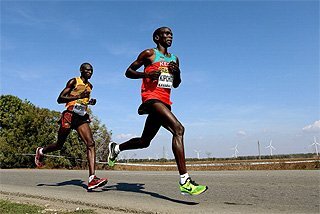 When it came to the IAAF World Half Marathon Championships in the heat of Vilamoura, Portugal, in October 2003, however, Willis got close enough to the tall East African to join her on the podium. 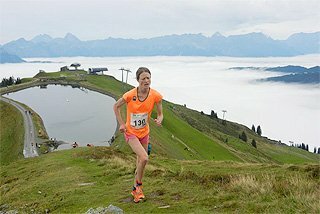 Running the race of her life (so far), Willis took a wholly unexpected bronze medal in 1:09:26 – behind the victorious Briton Paula Radcliffe (1:07:35) and Adere (1:09:02). It proved to be no fluke. 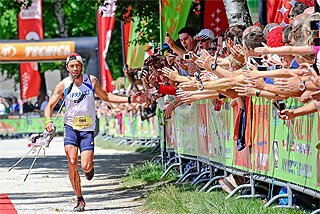 Running under the guidance of Nic Bideau, Willis enjoyed her finest hour – or, more precisely, her finest 27 minutes 17 seconds – in March the following year at the 2004 IAAF World Cross Country Championships in Brussels, where Willis won gold. It was Australia’s first global title in a distance event since Rob de Castella’s marathon victory at the inaugural IAAF World Championships in Helsinki in 1883. Competing in Britain in 2003 proved a pivotal experience in the triple jumping career of Jadel Gregorio. The giant young Brazilian – 2.03m and 108kg – was a heavyweight of the hop, step and jump compared to the featherweight Jonathan Edwards (1.82m, 71kg) but he idolised the outdoor world record-holder from Britain. At 36, Edwards just happened to be in the final throes of his competitive career; he hung up his spikes after the outdoor IAAF World Championships in Paris five months later. He had never won the world indoor title (he had one silver, from Lisbon in 2001) and he was to be denied once again. Sweden’s Christian Olsson uncorked a final-round 17.70m to take the gold. Edwards finished fourth with 17.19m and Gregorio sixth with 16.86m. It was the Brazilian’s first global final and it was not to be his last. Indeed, he earned silver medals at the next two IAAF World Indoor Championships – with 17.43m behind Olson’s world indoor record-equalling 17.83m in Budapest in 2004, and with 17.56m behind Walter Davis’ 17.73m in Moscow in 2006. In 2007 he jumped 17.59m to take silver at the outdoor IAAF World Championships in Osaka. By that stage in his career, Gregorio was living and training in Britain at Gateshead, Edwards’ old base, under the direction of Edwards’ former coach, Peter Stanley. 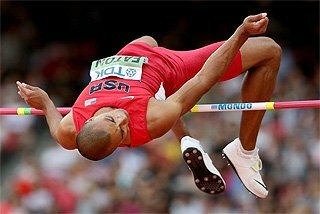 Unlike his idol, he never quite cracked the 18-metre barrier – the 17.90m he jumped in Belem in 2007 remains the South American record – but he won two world indoor silver medals. That’s one more than Jonathan Edwards managed.